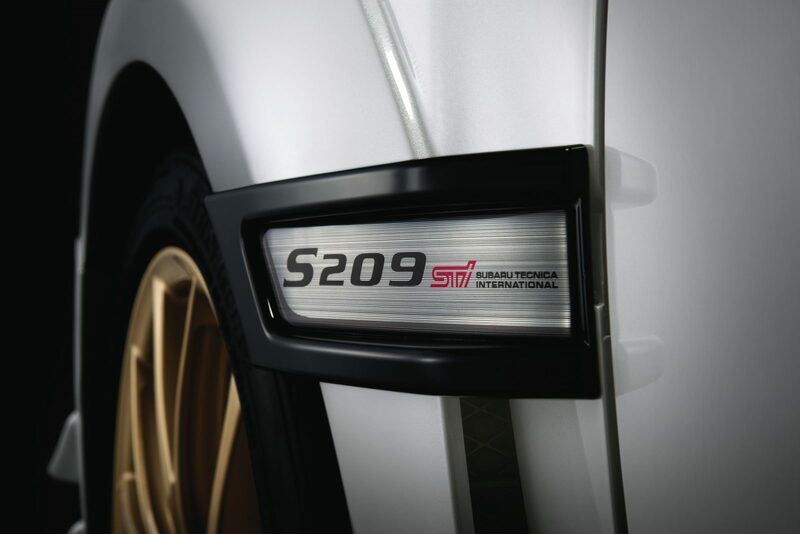 DETROIT — Subaru Tecnica International (STI), a wholly owned subsidiary of Subaru Corporation, today introduced the limited-edition STI S209, the first-ever S-line STI product produced exclusively for the U.S. market. Designed with a focus on high-performance driving, the S209 draws inspiration and tech transfer from STI’s most formidable track machine: the WRX STI Nürburgring Challenge racecar, which won the SP3T class at the 2018 24 Hours of Nürburgring, marking the fifth time STI dominated the SP3T class at the grueling endurance race. The S209, like the Nürburgring Challenge racecar, wears an expanded wide-body exterior treatment, which extends the vehicle’s overall width to 72.4 inches, or 1.7 inches wider than a standard WRX STI. The bulging fenders accommodate wider front/rear tracks (+ 0.6 in front/rear) and 265/35 Dunlop® SP Sport Maxx® GT600A summer-only tires wrapped around lightweight 19 x 9-inch forged BBS alloy wheels. The all-new tires, developed exclusively for the S209 by Dunlop, are a significant contributor to the car’s tenacious maximum lateral grip of over 1.0 g. Vents on the front fenders provide additional engine cooling, while vents on the rear fenders rectify air turbulence to reduce drag. Brembo brakes, with cross-drilled steel rotors and 6-piston monoblock front calipers and 2-piston monoblock rear calipers, provide stout stopping force, thanks in part to upgraded high-friction pads that deliver improved fade-resistance. Underneath the S209’s broader body are specially developed Bilstein® dampers, stiffened coil springs, a 20mm rear stabilizer bar and pillow-type bushings for the front/rear lateral links. The S209 incorporates reinforcements to the front crossmember and rear subframes and, a la the Nürburgring racecar, a flexible front-strut tower bar and flexible front/rear draw stiffeners. The flexible tower bar, unlike a conventional rigid bar, is split and joined with a pillow ball joint in the center to be longitudinally mobile while helping laterally stiffen the body of the car. The result is optimum tire grip during lateral moments combined with compliant ride during longitudinal moments. Meanwhile, the draw stiffeners apply tension between the body and cross member to optimize chassis flex, improving stability when cornering and delivering better ride, handling and steering response. Other Nürburgring racecar tech that trickles down to the S209: front, rear and side under spoilers; front bumper canards; and carbon-fiber roof panel and rear wing. Subaru Tecnica International Inc.(STI), a wholly owned subsidiary of Subaru Corporationof Japan, was established to undertake the motorsports activities of Subaru. Today STI’s core businesses are supplying motorsports base vehicles and competition parts; planning, tuning and developing Subaru Limited Edition models; planning and selling accessories; and tuning parts for auto enthusiasts worldwide. Through these operations, STI aims to provide special satisfaction to its many Subaru fans. 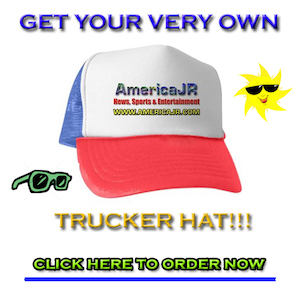 Subaru of America, Inc. (SOA) is a wholly owned subsidiary of Subaru Corporationof Japan. Headquartered at a zero-landfill office in Camden, N.J., the company markets and distributes Subaru vehicles, parts and accessories through a network of more than 630 retailers across the United States. All Subaru products are manufactured in zero-landfill production plants and Subaru of Indiana Automotive, Inc. is the only U.S. automobile production plant to be designated a backyard wildlife habitat by the National Wildlife Federation. SOA is guided by the Subaru Love Promise, which is the company’s vision to show love and respect to everyone, and to support its communities and customers nationwide. Over the past 20 years, SOA has donated more than $120 million to causes the Subaru family cares about, and its employees have logged more than 40,000 volunteer hours. As a company, Subaru believes it is important to do its part in making a positive impact in the world because it is the right thing to do. Source: Subaru Tecnica Internaitonal, Inc.